While I am not as geeked out as Phil Plait (of Bad Astronomy fame), he blogged about a very cool set of pictures. The second is the first image to show two planets orbiting the same star. 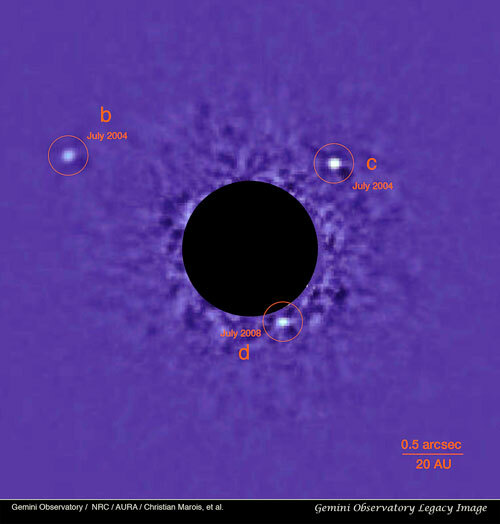 Our first planetary system imaged outside of our own. Read his explanation on this blog posting. His whole blog is pretty good, you may want to consider adding it to your blogroll. (As if we don’t have enough things to read every day).